Last year my wife and I noticed that the drain in our kitchen was starting to get very slow. Over time, despite cleaning it out and running extra hot water, it reached the point of being completely clogged. Eventually, we had to call not one, but two plumbers to get the issue totally fixed, because it turned out we had a level 5. Makes you want mashed potatoes, right? And I won't even tell you how vile it smelled. Thank the Good Lord for my wife's stash of essential oils and multiple diffusers! Now, our problem was pretty serious, and one that had been building up (literally) for decades. Long before we moved into the house this issue existed down the drain (HA!). And the first plumber who used his auger really was a big help in giving us an understanding of what was happening and getting us on the path to clear pipes. Unfortunately, he couldn't do all the work in one day, so we had him slated to come back. The next day before making it back, he broke his foot and called me, explaining what I had so I could find someone else to finish the job. In comes plumber number 2. He listened to me. He examined things himself. And then he gave me two options. He said, indeed, he could continue the same line of treatment we had started, and it would be expensive, messy, and smelly. Or, he said, if we were patient and willing to give it time to work, we could try a product that contained enzymes that would eat the grease. Well, dear, you're not a plumber...that was my thought. But she does have a degree in chemistry and worked for a Bio Chemical company while in college. Her work, specifically, was in a research department using enzymes! So, we bought the stuff after she read the ingredients and he explained the process. We were told, don't expect to see much happen the first day or two, because of how bad the clog was. After six days, I was starting to have doubts. But we continued our chosen course of treatment, using this special enzyme mixture, followed by a stock pot of boiling water down the drain. Then...one afternoon... it was like the flood gates broke open and everything was clear. It really worked! If you live in a building, you have drains. Your drains have lots of stuff going down them. What stuff depends on what drain. Buildup does, can, and will occur. Plumbers are great and (usually) very good at their jobs. but they are expensive. Over the Counter stuff you buy at the grocery store, despite what it claims, doesn't clear your clogs, its temporarily coats them so things flow over them better. Some can even hurt your pipes, because of the chemicals in them. So... if you have issues with drainage, first try checking yourself. Get a Zip It (or similar device) and follow the directions. 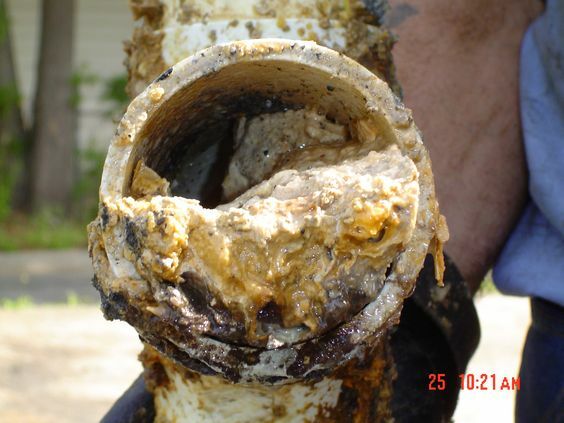 Many clogs are close to the drain and some, like bathroom drains, can be cleared fairly easily in most cases. If that doesn't work, by all means get an opinion and estimate. I would say NEVER pay for an estimate, and if you are uncomfortable with the price thank them and tell them you're getting another one and will call them if you want their service. But beyond this, ask a professional about maintenance and treatment. Listen to what they say. See if, as my plumber did, they have something that can help that might involve a slower process, but be far less expensive and provide the same end result. For us, the $70 I spent on that bottle of enzyme solution was money well spent. There were even directions for maintenance to help keep the pipes clean going forward, and I intend to follow those directions. I'll do this because I see it as an investment in the functioning of my home. Getting a Loan... a little video for you!